As a CEO, marketing may be just one of numerous aspects of business operations that you may be focused on. Marketing is important because it defines your brand image in the marketplace, and it drives sales. It also can nurture brand loyalty, differentiate your business from the competition and more. However, on a more personal level, marketing can also play a major role in your career success as well as in your ability to find a new job with other top companies later. In fact, marketing can impact your personal career in each of these important ways. You may be aware that marketing is essential in developing your brand’s image. This can foster loyalty, help you to win business over the competition when the buyer is making a critical decision and more. You may not realize, however, that your brand’s reputation is also associated with your personal professional success. As a CEO, the reputation of your company and brand are inherently linked to you. You are ultimately responsible for defining the brand, leading the company and more. 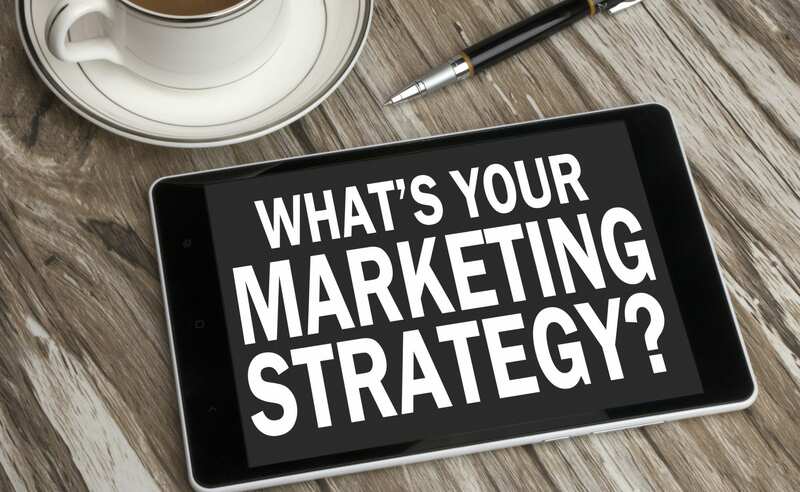 Because marketing plays such a key role in these and other factors, you understandably want to keep a close eye on the development of your marketing campaign. CEOs, like Dallin Larsen for example, are also judged by their ability to bolster sales numbers. In many cases, investors expect to see a year-on-year increase in sales and profits. 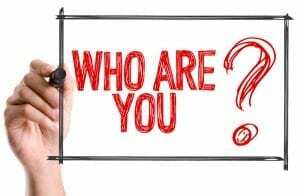 When you look for another position or when you are being recruited by the competition, your sales numbers will be scrutinized heavily. Because your company’s marketing campaign is directly responsible for sales numbers, you can see that marketing is not an area that you want to take a backseat position on. When you are going to be judged on the results, you need to at least monitor or oversee the development and execution of the campaign carefully. While it is important to have sales numbers as high as possible, you also need to contain overhead. After all, profitability is calculated by subtracting expenses from your sales figures. Marketing expenses can be a major component in your overhead expenses. Therefore, you need guide your team into making the most cost-effective decisions when designing and executing a marketing campaign. Thorough analytical research and a careful analysis of the marketing options available will help you and your team to design and affordable and effective campaign. While marketing may be used to drive sales, establish loyalty and develop your brand image, it can also be used to overcome public relations issues. Many companies will face public relations issues over the years that can be damaging or even devastating for the company. As the CEO, you will be judged on how well you lead the company through its current crisis and build the brand back up. Marketing can be used to communicate directly with your target about beneficial steps your company is taking to deal with the issue or even to simply adjust your customers’ mindset about your company or its products and services after a negative event happens. 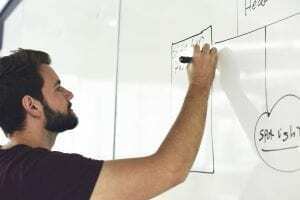 Some CEOs are inclined to take a backseat in the area of marketing and let the skilled professionals they hired to handle this important task. While it may not be reasonable for busy CEOs to be fully hands-on with all aspects of marketing because of a busy workload, you should remain in close contact with the department and steer the department in different ways that are in the best interest of the company. When you focus on making decisions that are right for the company, your own reputation may be enhanced as well. Today’s guest blogger is Brooke Chaplan, a freelance writer and blogger. She lives and works out of her home in Los Lunas, New Mexico. She loves the outdoors and spends most her time hiking, biking, and gardening. For more information contact Brooke via Twitter @BrookeChaplan. Having a website is a necessity in today’s market. Unfortunately, too many people create websites that drive customers away instead of bringing them in. If you are losing customers before your website, it might be because of one of the three reasons listed below. Your website’s domain name is both its address and its signage. If you have the wrong kind of domain name, you’re going to turn customers away before they even arrive. If you’ve got a long, elaborate domain name, there’s a good chance that your customers aren’t going to remember it when they need something from you. If your domain name is hard to remember at all, it’s going to slip through the cracks. Instead of having something elaborate, shoot for something memorable. If you have an auto dealership, for example, you can go through a company like Dominion Domains to eschew a commonplace .com address for a more memorable .auto address. The more memorable the address, the better. Your average internet shopper won’t spend much time waiting for a website to load. In fact, most customers start to get impatient if your site takes more than a fraction of a second to load. A slow loading time can be due to a number of culprits, from a bad hosting solution to a poorly optimized website. If your customers can’t get to your website quickly, they aren’t going to come at all – so do what you can to make the experience faster for them. Website visitors tend to go to websites for very particular reasons. They might be looking for information about your business or they might want to make a purchase. If you make this process harder than necessary, they’re going to go somewhere else. Don’t put important information behind several pages worth of text and certainly don’t make it hard for people to spend money with you. While you may be very proud of your website and the content that you have put on it, never make it harder than it needs to be for someone to spend money. Doing so will only hurt your business in the long run. Your website should serve your business – so make sure that your users are comfortable with everything you do. Get a good domain name, make the site fast, and make the site very easy to use. If you can accomplish those three easy goals, you’ll find that more customers are willing to use your site. Today’s guest post is by Brooke Chaplan, a freelance writer and blogger. She lives and works out of her home in Los Lunas, New Mexico. She loves the outdoors and spends most her time hiking, biking, and gardening. For more information contact Brooke via Twitter @BrookeChaplan. Marketing is learning what your customers need and want and then providing it to them. Did you notice that it does not say anything about sales or advertising? That’s because marketing is really about understanding your customer first, and that is why so many marketers focus on research before doing anything else. When advertising was young (and I was, too), it focused on promoting a product or service using mass media – the “if you build it, they will come” approach. And it worked pretty well for a long time. A new cereal or dish soap would be developed, the advertising gurus would develop a great TV commercial and pretty soon people were buying it. But that method doesn’t work any longer – at least not as well as it used to. Consumers don’t consume mass media very much. We like to view TV on our own schedule and we like to skip the commercials. We listen to satellite radio, streaming music or play music on our mobile devices – all so we can customize our own media consumption without interruption. So mass marketing doesn’t really reach the masses any more. That is why it is so important to understand the needs and wants of your customers, and then provide it to them. Customers want individualized messages tailored to their own habits. They want to care about what you have to offer, too. Putting together a few ads and sending them out into the cosmos probably won’t meet those needs. What is it that your customer wants or needs – and why are you the right person to provide it? That’s the question to ask, and that’s the very beginning or marketing. Let’s talk about it and put together a marketing plan individualized for your company goals and your specific customers. Call 904.524.0170 or email now for a free consultation. Small Business Branding – Is It Really Necessary? Should You Be Branding Your Small Business? Virtually every small business owner has heard the word “branding” and been told he or she needs to be doing it. 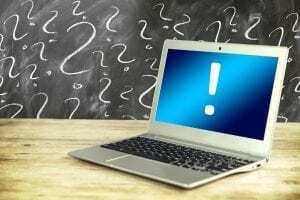 But there can be confusion about what, exactly, is meant by the term and how it is different from marketing, planning, operations and all of the other things that a business owner is responsible for doing every day. So let’s break it down. First, a definition of branding. A brand is a promise. It is not a logo or a tagline. It is not package design or spiffy uniforms. It is an emotional connection between the company and its customers that creates an image or understanding of the company at a “gut level.” Let me give you an example. There are multiple brands of baby shampoo that you can buy, but I’ll bet you immediately thought of one – Johnson’s Baby Shampoo*. With that thought came an image or understanding about the product – perhaps it was “no more tears” or the image of a smiling baby with shampoo in its hair and a loving mom bathing the child. Both of those things, along with other images that may have come to mind from your own childhood, are part of the company’s brand for that product. Johnson & Johnson has worked diligently over the years to build that brand identity and they have done a great job. So, what does that mean for a small business? The truth is that your company already has a brand in the minds of your customers. They already know something about the company, your services or products based on their experience with the firm. The question is whether it is the image you want them to have. Your branding activity should be deliberate and thoughtful so that you can be sure your customers – and future customers – know who you are, what you do, and what you stand for. By specifically managing your brand to align with your company’s core values and its business goals, it will be easier to do the right kind of marketing that increases sales. In the next few blog entries, we will review specific steps that small businesses can take to build, and manage, their brands. Stay tuned – and email me if you have any questions or issues you would like to have included. *Johnson’s Baby Shampoo is a registered trademark of Johnson & Johnson. The end is near….2016, that is. For many business owners, it is a great time to look back at their marketing activities for the prior year and begin making plans for 2017. Here’s a brief video I’ve posted that will give you some things to think about as you begin this process for your business or non-profit agency. Getting Those Promotional Items In The Right Hands! Are Your Giveaways Going To The Right People? 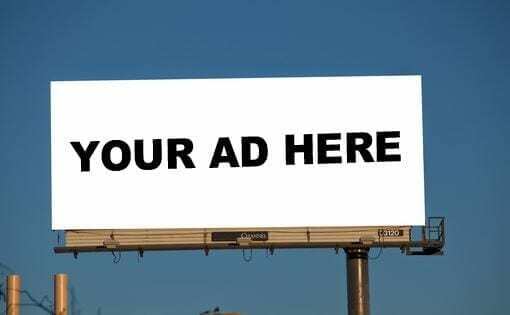 Most business owners today understand that they need more than traditional offline ads and static online ads to attract members of their target markets. Consumer disinterest in advertising, along with increased competition caused by global selling have made promotional items labeled with the name, logo, tagline, and other brand identity details of a business more necessary than ever before. Commonly-used items, such as office supplies, clothing and accessories, sports items, and home products, remind consumers every day of the availability and expertise offered by a business. But how do you get these items into the hands of your audience? Hire a marketing firm to provide you with information about the offline and online activities of your customers. Experienced marketers reveal important details that can help you understand and target your shoppers. You can utilize things like the types of places and websites they frequent, academic backgrounds, personal hobbies, and professional interests. Make certain that your employees are promoting your business through branded gear. Supply them with branded work clothing, totes, and tools. If they do not have branded name tags, seek out a corporate name tag supplier like Naag Tag Name Tags that can get you Company Name Tags in bulk. Order employees to give customers, guests, vendors, and other business leaders branded items such as pens, note pads, key chains, or swag bags containing these items whenever possible. If you sell products, offer branded samples and other branded freebies through your website blog or a separate dedicated page. Giving away these items as part of a bigger purchase can also go a long way in getting your name out there. Use the information provided by a marketing firm to target your audience through social media platforms like Twitter, Facebook, Tumblr, Instagram, and Pinterest with contests that have branded prizes. To double your promotional activities during a contest, tell your followers that they need to share one of your posts to enter. Businesses outside of your industry that members of your audience use are a fantastic resource. Create promotional partnerships where you give your customers promotional items from these businesses and those partners share your promotional items with their customers. High quality products and services lead to repeat business and word of mouth advertising, but promotional items in the hands of the right people reminds members of your target market that your business is the right one to meet their needs. Follow this advice as soon as possible to increase traffic, sales, and revenues. Nearly 60% of all Google searches originate on a mobile device, and that number is expected to continue to increase quickly. Will the desktop computer go the way of the dinosaur? Probably not – most corporate offices still depend heavily on desktops. But Google Search is adapting by preparing to split its search function in two: one mobile, one desktop. And the mobile will be better. 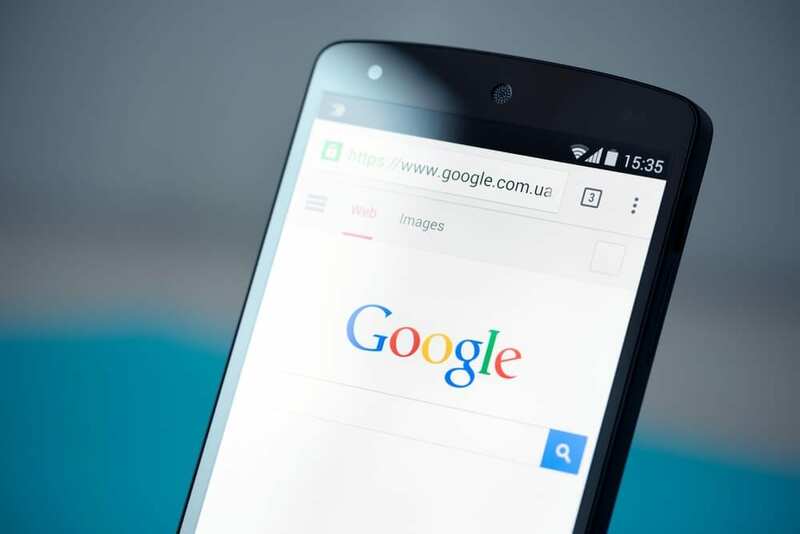 Recently, Google announced it will be releasing a separate mobile index within a few months. The mobile search will become Google’s primary index, putting those on desktop behind the times. In other words, Google will be keeping the mobile search up-to-date while the desktop version may lag a few hours, days or more. Of course, Google has not announced all the details, but several industry publications have outlined the expected changes. Questions about how mobile algorithms will prioritize mobile-ready content remain open, as do issues surrounding the scaled-down version that many companies use for their mobile sites. Will that help or hurt SEO? Back in April, Google announced that websites that did not have a mobile version would be penalized in the search rankings. That now seems to be the first step of many leading to the mobile search index change. Earlier this year, the company also launched Accelerated Mobile Pages (AMP) that are designed to load more quickly on a mobile device. You’ll know if the page is AMP’d up if you see a green lightning bold in the search results. Will those pages get a boost in ranking? Most likely. Page loading speed is critical on mobile devices. In fact, according to Kissmetrics, 40% of web users will bail out if it takes more than three seconds for a page to load. Three seconds. Advertising on AMP pages have to be simpler, attractive, and must be secure (use HTTPS). And, there is evidence, according to Google, that running ads on AMP pages will increase results. For example, the research noted Slate saw a 44% lift in monthly unique visitors and Gizmodo saw an 80% increase in traffic. We will probably see more information about the new mobile search index on Google soon, but now is the best time to begin preparing. If you don’t have a mobile version of your website, don’t wait any longer. Give Deppe Communications a call, or Email us, and we’ll help you get started. Ah, Fridays. The day before the weekend when most everyone’s mind is focused on wrapping things up and heading out for two days of play. Except the boss, who is still thinking about how to improve sales, get better margins and keep everyone focused for the last eight hours of the week. But Friday doesn’t have to be a lost day. In fact, it can be a productive day when you find ways to make it great. So, why is Friday great? It’s a good day to celebrate the week’s work with staff. As you wrap up the week, letting everyone know what was accomplished is a good morale booster and reminder of what hard work can accomplish. Fridays are the worst day for meetings, so keep it short or go individually to each person on your team. Have a Friday special for your customers. It doesn’t have to be “Black Friday” to draw business in. You can have an “Awesome Friday” with the right promotion. I love the “Free Ride Friday” promotion conducted by the $100MBA podcast. Friday can be the gateway to a weekend-long marketing promotion, especially for retailers, bars and restaurants. Start your sales on Friday, or open up promotions for your best customers a day early. In an office? Give your employees something interesting to do on Friday – teach them networking skills, bring in a guest speaker, buy ice cream or pizza – just keep it light. 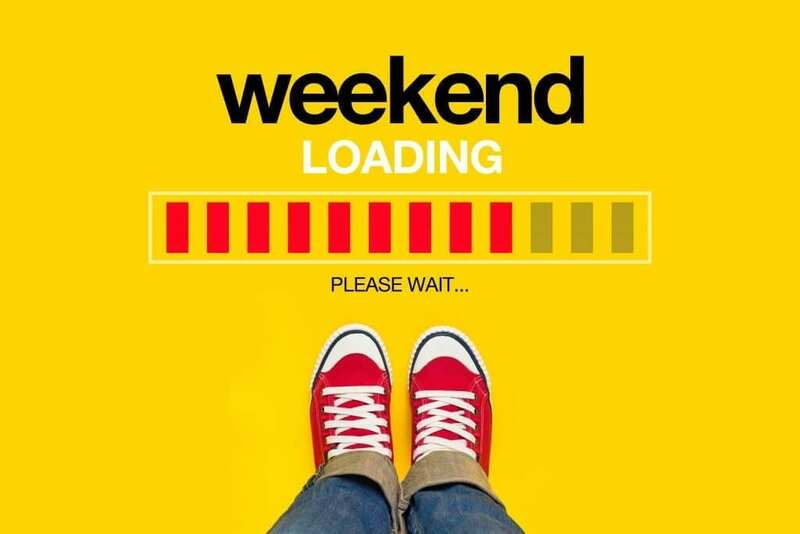 What’s your favorite way to make Fridays a great day for business? Share it here! The old adage, “spend more to earn more” for advertising isn’t applicable to every business. You don’t always have to spend a lot of money in order to make a lot of money, but you do have to spend some of your hard-earned cash to get a good small business marketing campaign going. Effective marketing campaigns will give your business the most profitability when done right. Marketing campaigns today are used to boost the online visibility of your business and can help business owners establish brands, build brand images, and drive sales through online promotions. Effective marketing campaigns offer an excellent return on your investment because they can increase your new business as well as your customer loyalty. A comprehensive campaign does cost some money, and you may wonder how you can afford to spend money in order to generate more revenue. Here are a few tips to help you better understand your options. Don’t waste your time with campaigns that won’t be effective for your niche or audience. Just go with your instincts. Go with the hard data about your target customers and the advertising that works best with them. Find out where you can reach a broad range of people and come up with an advertising system that can get them interested. It’s important to determine how much you can actually afford for your marketing efforts. You will need a budget for your campaign, so to do some research to best determine the full amount of funds you will need. You should consider costs incurred in the design, execution, and management of your campaign. Successful campaigns can sometimes take weeks, or even months to plan and execute. Remember, no matter how much you organize and plan, you may hit a few bumps in the road. It is helpful for your budget to have some flexibility in order to adjust to unforeseen circumstances. After you determine the overall cost of your plan, you are ready to consider the financial options available to you. For some business owners, their marketing campaign budget is small enough they are able to fund it through their own savings. These business owners usually do not need to rely on outside financing to carry out their campaign successfully. Other owners utilize credit cards in order to finance their marketing campaign, but these usually come with high-interest rates. Depending on your circumstances, a small business loan, or a line-of-credit through your bank may or may not be your best financial option to get funded. Under the right circumstances, you may qualify for competitive loan terms in order to help you get the money you need for the growth of your business through a strategic marketing campaign. There are a wide variety of options available to business owners when it comes to financing a marketing campaign of any size. It is very important to carefully research all options available in order to determine the best financial fit. Remember, don’t be discouraged and don’t overspend. Some of the best marketing campaigns are planned and carried out under very nominal budgets. Designing a logo isn’t easy. Your logo creates your brand’s visual identity and is the first things customers will associate you with visually. It’s your brand’s first impression and can be important in making deals with client and customers. It impacts their purchasing decisions and as their overall attitude about your products. Here are four logo designing tips to make your brand stand out and to help you understand and relate to your target groups. Is your brand traditional or contemporary? Is it serious and utility-focused, or is it fun and quirky? What does your average customer care about? Your font, color scheme, and image should all reflect the answers to these questions. Staying true to your brand’s identity is far more important than keeping up with current design trends. Choose colors that help sell your product and describe what you do. Programs like Succeed At Eagle can help you develop your specific marketing techniques and incorporate the right elements into your logo as well. Although you want an interesting logo, you don’t want your customers to be confused or start analyzing it too much. Adding a small image can be a great idea, but it can also be distracting. For example, your company might want a simple graphic added to the name, but cramming that into an already large or bold font can become a little overwhelming to look at on paper and signs. Simplicity helps your logo look good on small mediums like phone screens, too. Hopefully these tips help you create a memorable visual icon for your brand. If you’re still feeling lost, consider bringing in a professional designer. After all, a lot is riding on an effective, memorable brand image. Don’t just settle on an “okay” logo.